The Unsolved Mysteries reboot is officially happening at Netflix with the original creators and Stranger Things executive producer Shawn Levy. The original series was hosted by Robert Stack and ran from 1987 to 2010 with an impressive 500 episodes. Show creators John Cosgrove and Terry Dunn Meurer revealed in the summer of 2017 that they were developing new episodes and talking to networks about picking up the iconic show. At the time, they expected to begin production that year. However, things didn't go as they originally planned. Thankfully, there has been some forward movement with the development of the new series. The new Unsolved Mysteries on Netflix will consist of 12 episodes and Terry Dunn Meurer will serve as showrunner. John Cosgrove is on board to executive produce alongside Shawn Levy and Josh Barry. Robert Wise will also serve as co-executive producer and showrunner. The new version of the true crime/paranormal series does not have a release date at this time and it is unclear who will be taking on the hosting duties. Robert Stack passed away in 2003 and Dennis Farina took over hosting duties when Spike revived the show in 2008. Netflix says that the new Unsolved Mysteries will be a modern take on the program, but it will keep much of the original intact. However, they will be treating it like a docuseries, which means that it will have a decent budget like most of projects that Netflix does. This could take away from what viewers loved so much about the original show. The original series had low production values, which added to its charm and fans of the show embraced that aspect. The show will also continue to help investigators by allowing viewers to share tips, if they have any information regarding a specific case. Related: New Unsolved Mysteries Episodes Coming This Year? Each episode of the original Unsolved Mysteries featured 3 to 4 segments, each involving a different case. It's unclear if the new episodes will focus on one case or if it will involve multiple cases at this time. Host, Robert Stack would set up the segments and then narrate the stories while coming back at the end to provide a recap. It's a successful formula, so it will be interesting to see if Netflix decides to keep it for the new series. That being said, one could easily see the streaming platform taking the approach of one segment per episode. 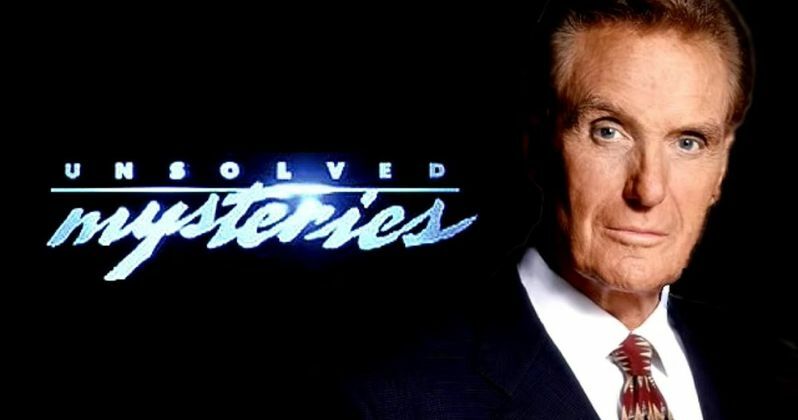 Unsolved Mysteries fans should be happy to know that it's officially coming to Netflix. Further news regarding a host and premiere date are expected to be revealed shortly. While we wait, there's plenty of time to go back and watch the 500 episodes, which are currently on streaming platforms. The free Pluto TV app even has a channel dedicated to the series and runs the episodes 24 hours a day, 7 days a week. The Netflix Unsolved Mysteries reboot news comes to us from Deadline.